What kind of business are you hoping to start? What kind of solution will your business provide? Is there a market for your business? How do you intend to run the venture? What’s your strategy for generating revenue and eventually, profit? How much time do you need to scale the business? How much resources would you require to flight the business? How are you sourcing for funds? Personal savings? Friends and family? Government loans? Bank loans? These are important considerations for any anyone who is considering entrepreneurship. Although, micro, small and medium sized businesses (MSMEs) are confronted with myriads of challenges today, some of which are tied to the general characteristics of the business environment in Nigeria: multiple taxation systems, unstable government policies, management problems, high cost of doing business, difficulties in accessing credit, and so on. Access to credit facility still remains the biggest challenge. And the reason is simple: while banks recognize the potential of most MSMEs as a source of revenue through credit facility, they are, most times, reluctant because of the difficulty attached to managing and assessing such risks. To curb these risks, many banks have resorted to implementing stringent screening measures and requirements when considering credit facility for MSMEs. 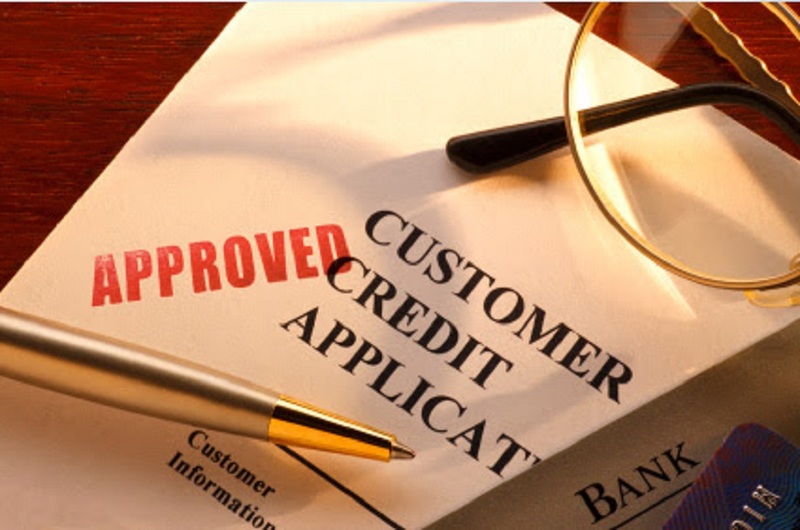 These stringent measures however only ensure that only a few businesses are granted credit. The Central Bank of Nigeria (CBN), in conjunction with the International Finance Corporation (IFC) recently published an article titled, ‘The Credit Crunch’, which alleged that 87 percent of MSME respondents had successful loan applications in the past, while 69 percent of MSMEs who wanted loans but did not apply felt that they will be rejected because of the collateral requirements and other associated conditions attached to the loan approval process. Moreover, there is also a perceived ‘one-size-fits-all’ approach by financial institutions towards loan applications by MSMEs and their employees. It thus appears that many MSMEs and their employees find the process of obtaining loans – whether real or perceived – to be discouraging. Be that as it may, the federal government of Nigeria, in an effort to provide the needed capital support for entrepreneurs, has launched several credit facility initiatives through its various agencies saddled with the responsibility of growing small and medium scale businesses. While the efforts of the government might be said to be yielding substantial growth, truth is, not every entrepreneur will qualify or get a chance to merit such credit facilities. Moreover, the government cannot on its own cater to virtually all business proposals with viable potential. The present administration created a MarketMoni scheme through the Government Enterprise and Empowerment Programme (GEEP) as a Special Intervention Programme by providing loans between N10,000 and N100,000 to microenterprises, the segments of the society with the greatest difficulty accessing credit. The scheme, which is executed by the Bank of Industry (BOI), a parastatal of the Federal Ministry of Industry, Trade and Investment, directly impacts traders, market women, artisans, and farmers nationwide. According to the National Bureau of Statistics, of the 37 million small businesses in Nigeria, 36.9 million are micro enterprises, and these are responsible for almost 50 per cent of the country’s Gross Domestic Product and 80 percent of the workforce. Therefore, it might be impossible for only the government to provide credit facility for all of those micro enterprises. Already, some private organisations, although relatively young, have been supporting and growing MSMEs for years. While their efforts might not have been noticed by the media, their impact on these micro, small and medium-sized businesses have been enormous. For instance, did you know that some of the merchants/vendors selling on Jumia enjoy a low-interest credit facility given to them by the eCommerce giant? The Jumia Lending Program is an initiative that gives sellers on the platform opportunity to grow and expand their businesses by granting them access to fast and easy short-term working capitals. Lots of entrepreneurs have been produced through this initiative. Some of the pecks of the lending initiative include quick registration process; flexible repayment plan within 1 – 6 months; no collateral; low-interest rate; no hidden or extra charges; and free training and support services to help merchants selling on the platform make best use of the loan and expand their businesses. Just like the MarketMoni scheme by the federal government, Jumia vendors also have between N10,000 – N100,000 credit facility available to them. Sellers who have benefitted immensely from Jumia’s low-interest credit facility today remain among the top sellers on the platform, cutting across a wide spectrum of category such as, home appliances, beauty and perfumes, phone and tablets, cameras and electronics, computing, TV, audio & video, and so on. As a nation, it will be almost impossible for us to reap the dividends of the digital economy if businesses powering the sector are not adequately funded, or at least provided with low-interest credit facility which can help to grow, nurture and sustain the businesses. There have been many discourses on how Nigeria can take advantage of eCommerce to improve the lot of the very promising Nigeria economy. Although, much has not been seen of the government investing in this sector, it has nonetheless created an enabling environment for the existing players to operate. In turn, the players, of which Jumia remains the leader is empowering entrepreneurs on its platform to flourish through constant free business training and advice, provision of credit facility, and so on. With over 50,000 active merchants/sellers on the platform, Jumia continues to connect consumers and businesses across Africa. Through its various online platforms, consumers can access a wide range of products and services, from basic consumer goods to online travel. The company helps consumers “save time and money”. Businesses use Jumia in order to distribute their products and services in a more efficient and scalable way.